Bracelet comes with three, adjustable snaps. 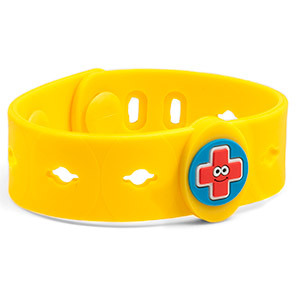 Fits wrist sizes of most children age three and up. Holds up to six charms. Measures 7" in length. 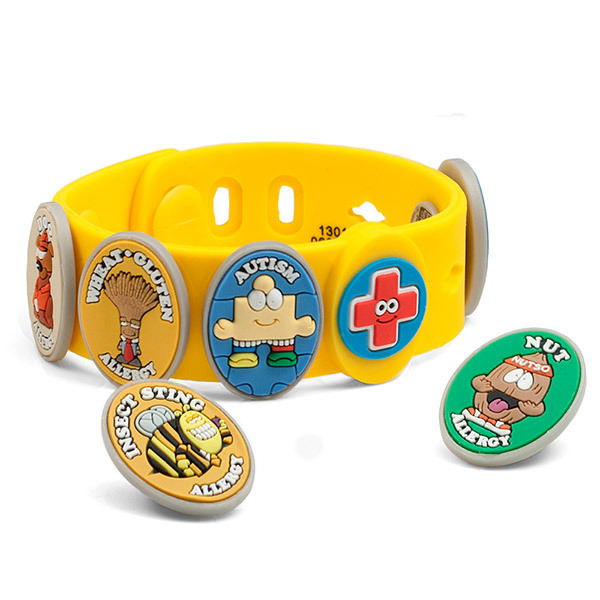 Allermate bracelets meet and exceed U.S. and European safety standards for children's products. To insert charm, position charm horizontally, pull bracelet, enter charm rivet into keyhole. Once inserted, turn charm to vertical position to keep charm secure in key hole. 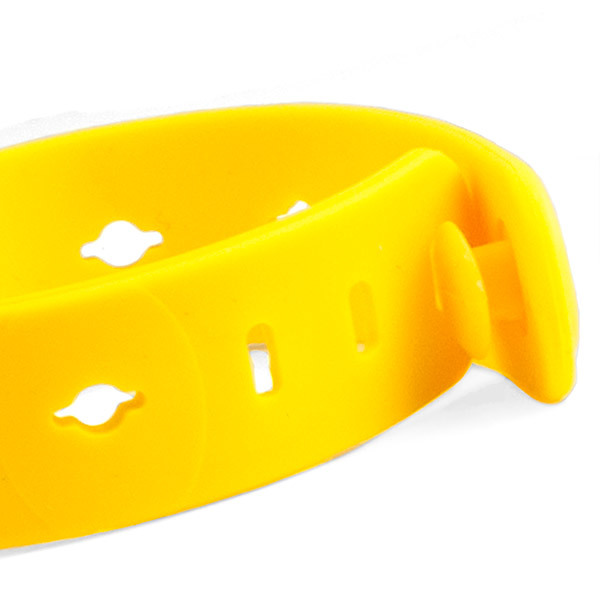 Once you add this item to cart, optional buttons for this bracelet will appear.